We hope you have some energy leftover following the big Canada Day bash, because the city is flush with exciting activities all weekend long. The impossible is achieved before the naked eye in Cirque de Soleil’s Alegría, yet another spellbinding performance by the world-famous troupe. This spectacle derives its name from the Spanish word for jubilation, a feeling sure to be evoked by its gravity-defying acrobatics, graceful contortionists and more. Immerse yourself in the theatrical arts at the Toronto Fringe Festival, which presents 150-plus independent theatrical productions—musicals, dramas, single-person shows and much more. Dig into some juicy beef and pork at the Toronto Ribfest. The popular event at Centennial Park also features live entertainment, plus vendors for those who may be immune to the allure of a juicy rack of ribs. Lords and ladies are welcome to attend Casa Loma’s Renaissance Festival. Take a trip back to medieval times: warhorses parade in the stables, warriors patrol a Viking encampment, and minstrels stroll by as you explore the castle. Don’t be surprised to see soldiers burst into spontaneous duels! Gather at Yonge-Dundas Square this evening for a free concert by Chaka Khan, Macy Gray and Quebec-based trio Lost Fingers, courtesy of the TD Toronto Jazz Festival. “Girls just wanna have fun”—and you probably do, too, so head over to Queen’s Park, where Cyndi Lauper—along with The Clicks and Dragonette—performs live as part of this week’s Pride festival. The pop icon also marks the release of her latest album, Memphis Blues, with a CD signing at the Manulife Centre’s Indigo store. Hear ye, hear ye! Her Majesty Queen Elizabeth II and her husband Philip, Duke of Edinburgh, grace Toronto with a royal visit today. 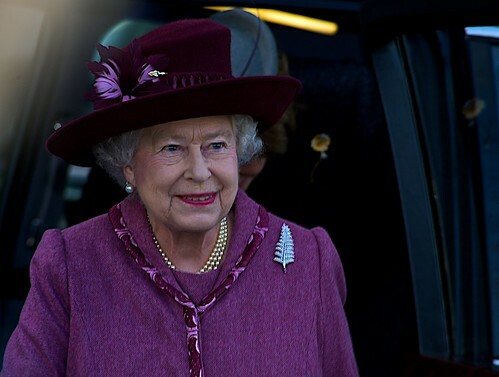 The monarchs will greet well-wishers following the 11 a.m. service at St. James Cathedral, and then preside over the 151st running of the Queen’s Plate at Woodbine Racetrack. Show your (rainbow) stripes at the 30th annual Pride Parade takes off from Church and Bloor streets at 2 p.m., in the country’s biggest celebration of sexual diversity. Gather at Exhibition Place to partake in the annual CHIN International Picnic, the world’s largest free picnic and music festival. Snack on multicultural fare, see jungle cats, a dog show and circus acts in the midway, and then cheer the crowning of this year’s “Mr. Chin.” (Saturday’s festivities name Miss Chin and culminate in an evening of fireworks.) If the karaoke competition doesn’t raise the bar, a musical performance by Italy’s Nek certainly will. Named for entrepreneur Joseph Bloor, this tony thoroughfare is the city’s chicest spot for shopping. Dubbed the “Mink Mile” for the many designer retailers who call this stretch between Yonge Street and Avenue Road home, the fashionable district is where you’ll find both visiting celebrities and Toronto’s upper echelon.